The MiG-3-34 is a Rank II Russian fighter with a battle rating of 2.7 (AB) and 2.3 (RB/SB). 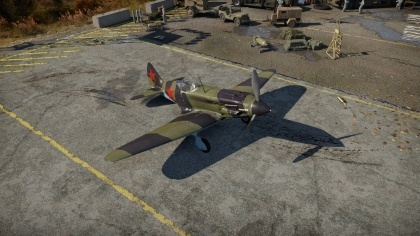 This aircraft was introduced in Update 1.41. 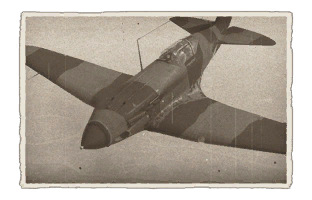 The MiG-3-34 was built with the intention of making a fighter capable of fighting at high altitudes and this reflects in the game. The MiG-3 is one of the few Soviet planes that fly decently at high altitudes, although not as good as German or American planes. This gives the Soviets a hand in high altitude battles and gives them some defense against high-flying bombers. This plane has dual 20mm that are powerful and accurate with the neat ability to equip "Armored-Targets"(Antitank) rounds. 700 320 ??? ~?? ~? This page was last edited on 17 March 2019, at 19:40.